As the 15 year old bread winner for a family of more than 10, Prince Tommy was abducted by AFRC rebels and forced into the life of a child soldier in the Sierra Leone civil war. He escaped and finally reached freedom in Freetown, surviving on the streets before he was rescued by Richard Cole and eventually arrived at the Lifeline Nehemiah Home. This home for street children in Sierra Leone provided him with love, care and the opportunity to complete his education – he now has an honours degree in Business & Information Technology. While living in the Nehemiah Home he grew in stature, taking increased responsibility for the day to day activities and acting as Dean of Boys. Prince Tommy’s vision rises out of his past experience and is expressed as having received such love, care and hope when he was in desperate need he now wants to give out, giving to other needy people in the same manner as he received; serving humanity, seeing lives changed for good just as his own life was so radically changed. Prince Tommy’s connection with the Network came as a direct result of his rescue from the rebels in Sierra Leone, and being brought into the Nehemiah Home by Richard Cole, the late Network partner who founded the home. Therefore Prince Tommy grew up recognising the significant support and investment that was freely available through the relationship, and now continues to actively promote and draw on those resources in his work as Deputy Director of Lifeline Nehemiah Projects. 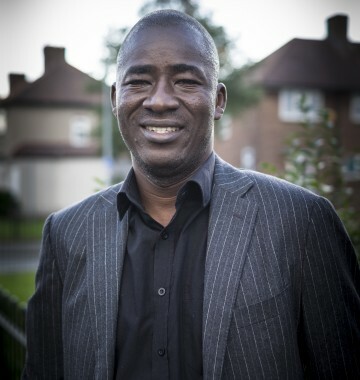 Prince Tommy is currently Deputy Director of Lifeline Nehemiah Projects, part of Senior Management Team responsible to the day to day activities across all aspects of the projects’ influence, locally within Freetown but also in the provinces. In response to the Ebola crisis he has been instrumental in establishing the Ebola Community Care Clinic in Kuntorloh, Freetown, and was an active member of the national Ebola Emergency Response team which was responsible for developing strategies and policies for fighting the epidemic. Prince has also been involved with government ministries and external agencies such as UNICEF, directing policy development in such areas Child Protection Case Management, the Special Needs Group for disabled people and civil war amputees, and Social Mobilisation.